This is a Eupithecia species. The light reflecting off the wings makes it somewhat harder to see the markings, but I'm rather sure that this is E. miserulata, as there are only three Eupithecia species known from Florida (on MPG and Bugguide), and this is the only one which matches. Compare with this: Also, notice the faint traces of green on the thorax and abdomen, and the portion of the wings closest to the thorax. 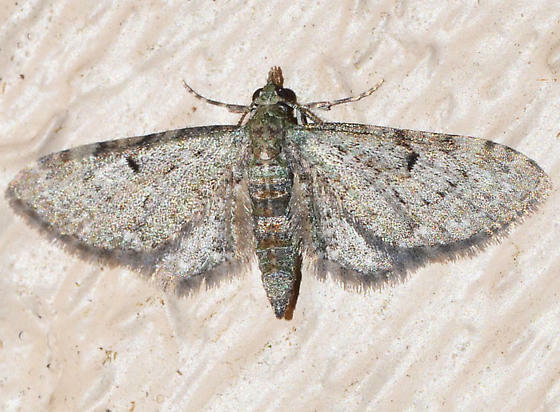 I also checked the Eupithecia species known from Georgia, and none seemed to match as well as miserulata.